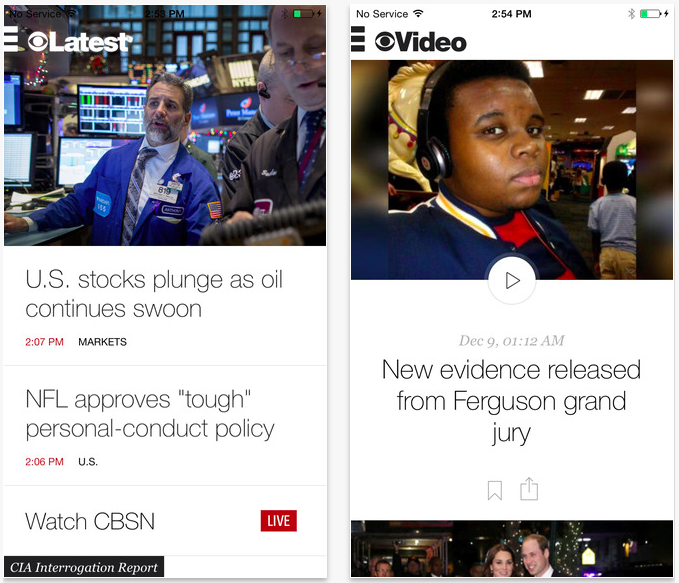 New year, new CBS News for iOS. The official iPhone app of the news division of the CBS TV and radio network has just been to version 3.0. Consequently, the app has gained universal support, making it natively compatible with iPad as well as iPhone. What’s more, CBS News 3.0 introduces a fresh new design for iOS 7 and iOS 8, featuring customizable pop-out navigation, bigger story headlines, adjustable font sizes in news stories, full-screen photo galleries, and improved support for related stories, videos and galleries within the story view. The app now also includes a “Quick Read” feature in categorized news headline lists, more video offerings from CBS News programs, expanded in-depth coverage for developing stories, business headlines from CBS MoneyWatch, and breaking news notifications. 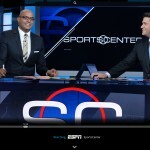 But undoubtedly the most notable among the app’s new features is CBSN, the new 24/7 streaming video news channel from CBS News. This channel includes original reporting, live anchored coverage, and on-demand news segments. 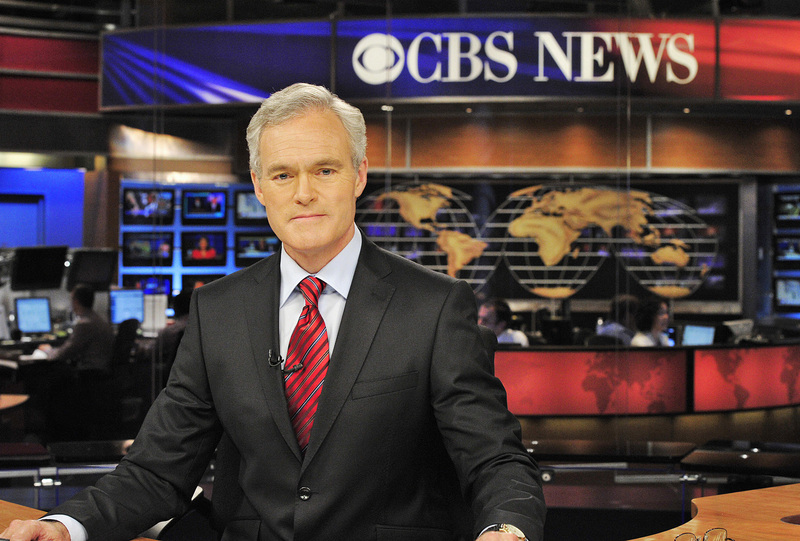 CBS News 3.0 also features full resolution support for iPhone 6 and iPhone 6 Plus. Compatible with iPhone, iPod touch, and iPad running iOS 7.0 or later, CBS News 3.0 is available now on the App Store for free. Note that following the release of the new universal version of CBS News, CBS News for iPad is no longer available on the App Store. See also: Say goodbye to paper as you digitally file everything with Evernote Scannable, Stop being a meatbag and count your calories with Carrot Hunger, and Duolingo for Schools lets teachers easily track students’ language learning progress.